The luminaria are very photogenic and offer exceptional promotional potential. They are successful in attracting good media coverage. It is not unusual to have a front-page photo on a national daily. TV news reportage is common as well as occasional live broadcasts. Web coverage is now enormous with some agency photos of luminaria achieving incredible worldwide profile for the host event. 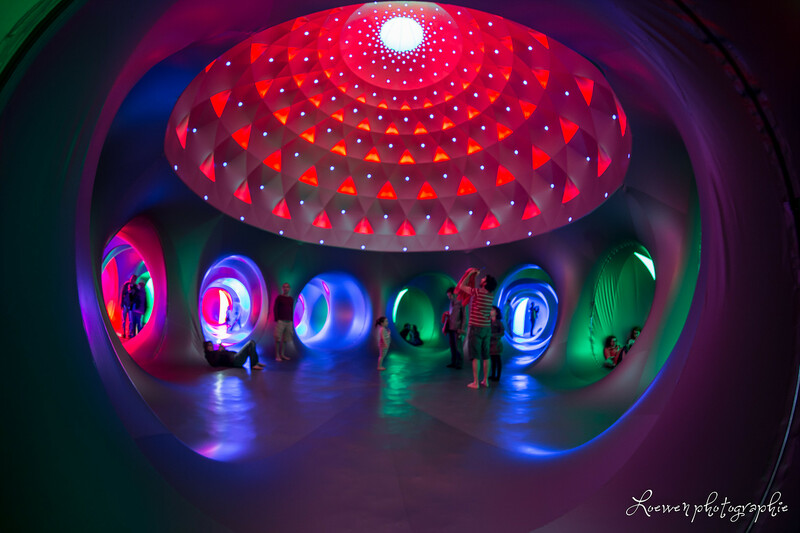 "It is a massive understatement to say that the luminarium is an attack on the senses. Rather, it is an onslaught. The colours of the plastic were astoundingly vibrant; while the shades and hues in some rooms and domes merged softly together, others were vivid in contrast. Sloping circular shapes created a comforting environment, and the humming of the wind passing through the long tunnels was mesmerising." "Architects of Air’s Exxopolis is an experiment in revitalizing both our expectations and understandings of art in public spaces (…). While we may have a sense of decorum for how to view an artwork or how to behave in a city space, the simultaneously public and enclosed nature of Exxopolis may encourage viewers to engage with the work on their own terms." "Architects of Air bring their latest inflatable structure to Edinburgh Picture the scene – you walk inside a Fringe venue, and find no actors, no musicians, no dancers, in fact no performers at all. You'd be forgiven for wanting your money back. Unless, that is, your ticket is for an Architects of Air creation – because, as one critic wrote in 1992, 'if ever the show was the venue itself, this is it'." "Reactions to Alan Parkinson's luminaria range from rhapsodic and enlightened, to energized or calmed. 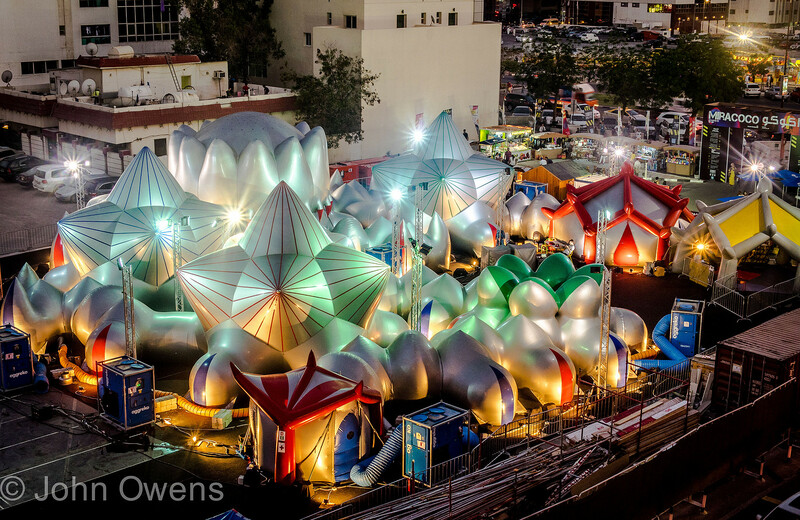 These giant inflatable structures, first designed by Parkinson in the 1980s and now touring worldwide under his "Architects of Air" organization, resemble multi-colored bouncy citadels, and create a totally immersive experience of light and color to anyone who walks their winding interiors." 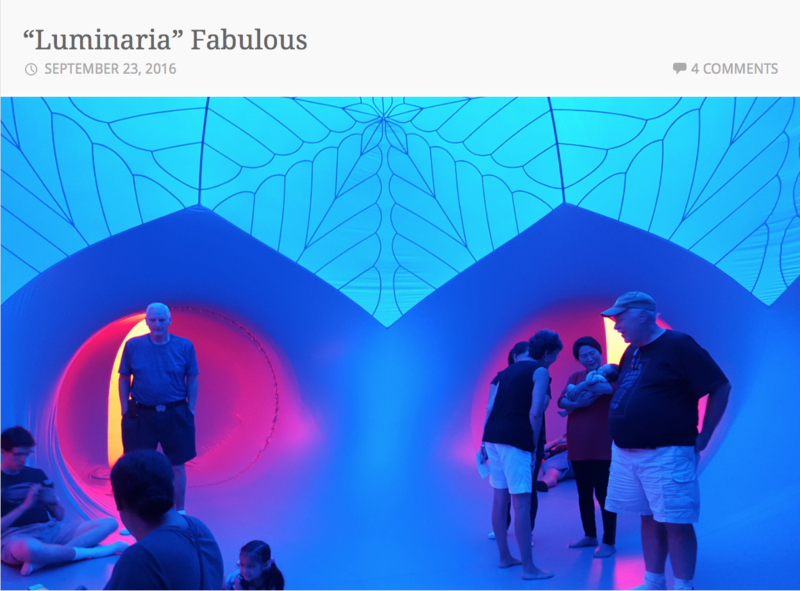 "Entering Mirazozo was like stepping barefoot into a tent planetarium of subtle light. The domed ceilings stretched with zigzagging color and geometric lines. It was an otherworldly environment, enhanced by hazy spots of blue, green and red pooling out of interconnected rooms.The interplay between color and natural light is the center of the artistry behind six touring luminaries created by the UK-based Architects of Air." The luminaria have inspired many blog writers and photographeers around the world. It is not posisble to feature all of them so below is just a couple that we have liked. Click the link below to download the general Architects of Air Media Kit. Individual luminaria have their own unique kit downloadable on request.